The official cover for Malka Older's conclusion to The Centenal Cycle goes purple. You read that right: State Tectonics, the sequel to Infomocracy and Null States takes up the Royal color in contrast to the blue and red of its predecessor. This series is a favorite of mine becuase it touches on to the field of my profession: technology. Add up to effects of technology to a futuristic cultural and demographic level and you get a gripping and dramatic story on an epic scale. 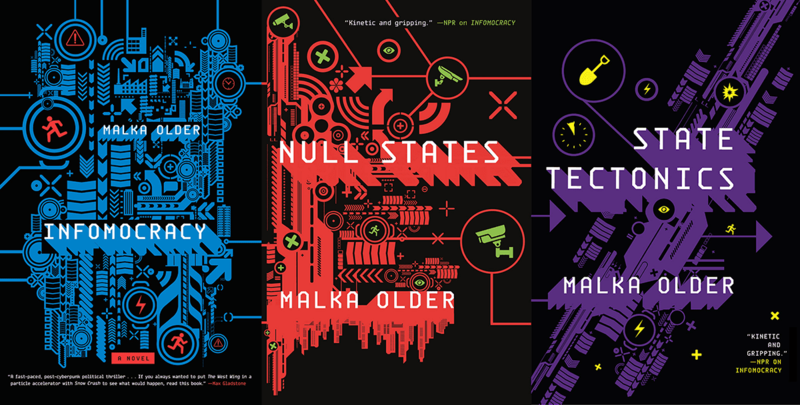 Check out the cover of The Centenal Cycle: State Tectonics by Malka Older. 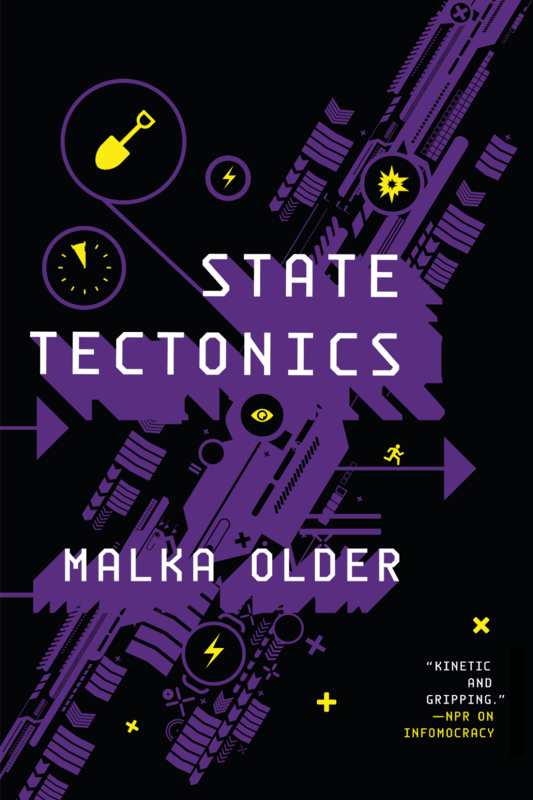 State Tectonics by Malka Older will be released on September 11, 2018. Your siblings eagerly awaits your arrival!